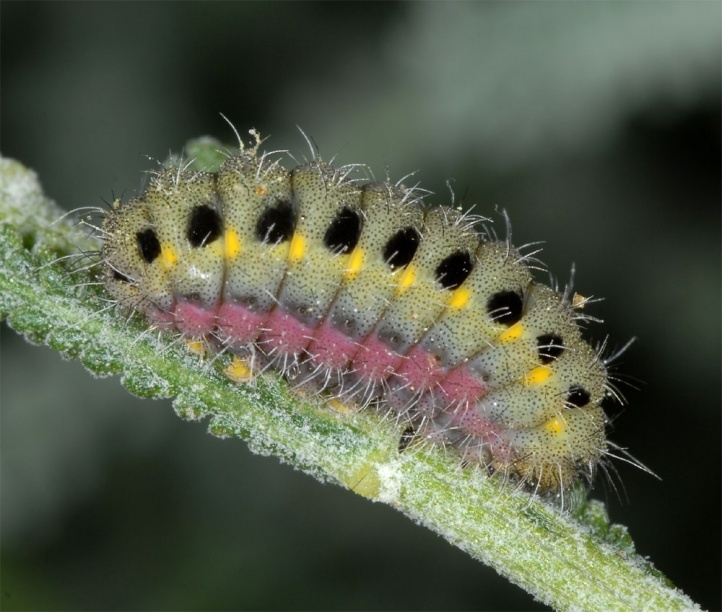 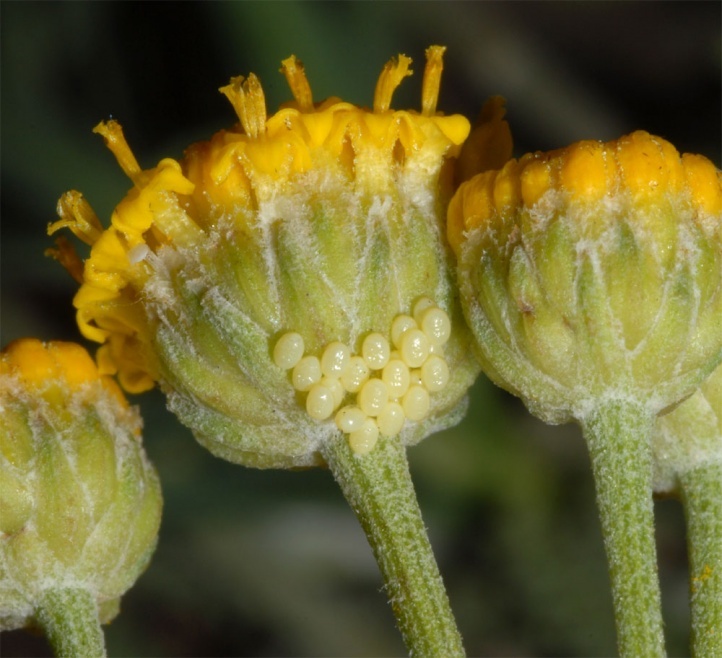 The caterpillars live on Asteraceae (Compositae). 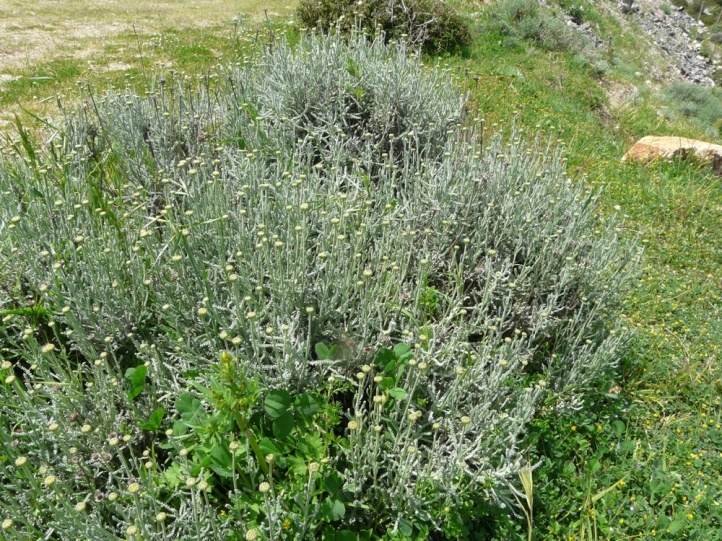 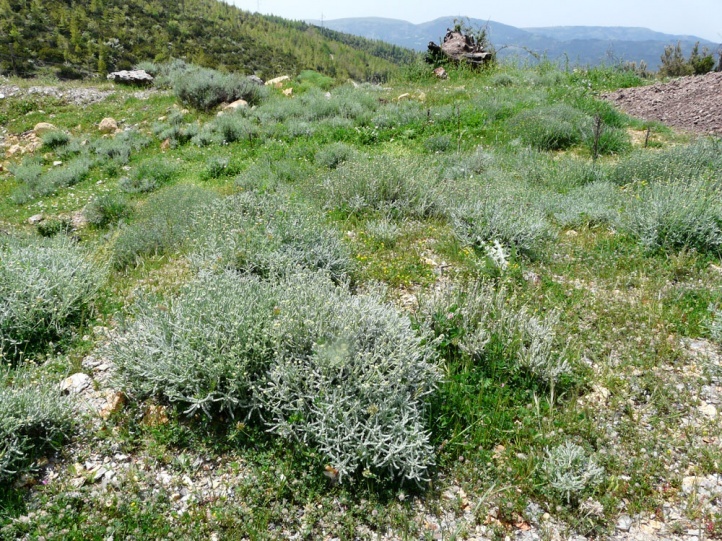 Mostly Santolina chamaecyparissus serves as larval host plant. 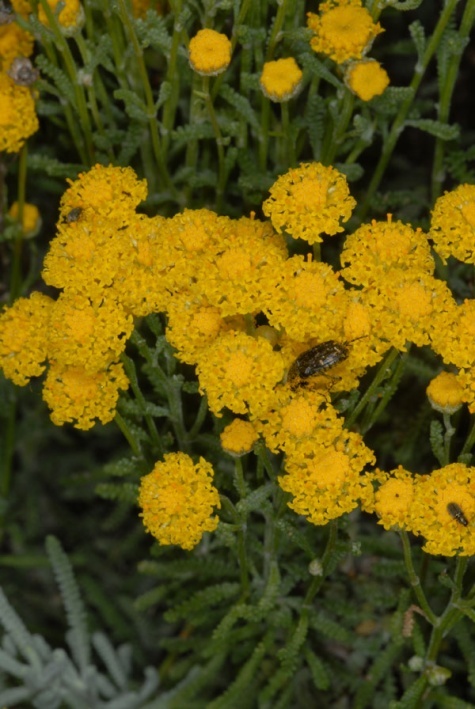 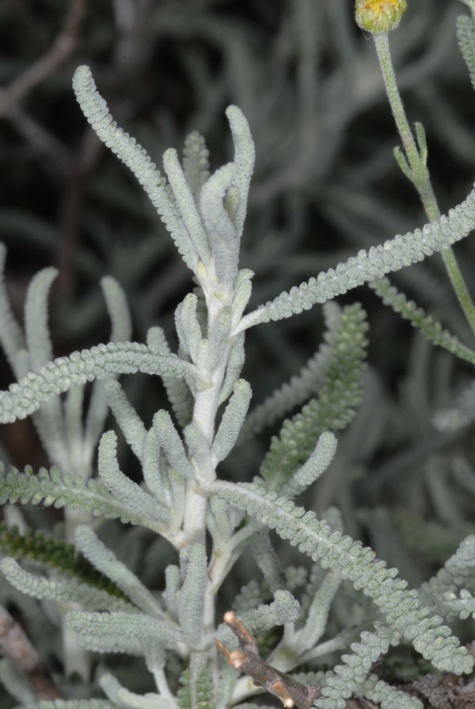 More rarely populations are observed on Helichrysum italicum or Plagius flosculosum. 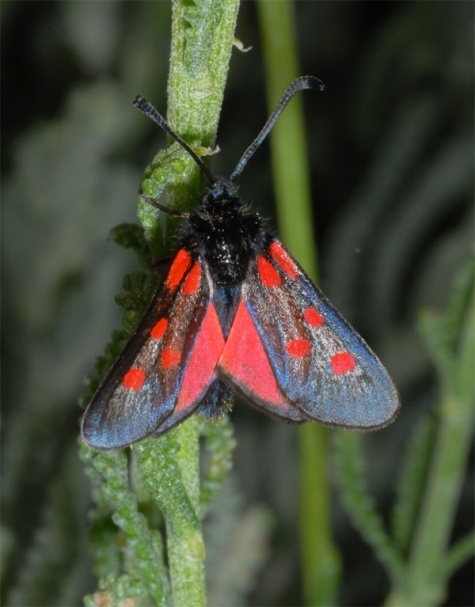 Zygaena corsica inhabits open, sunny areas with the host plants. 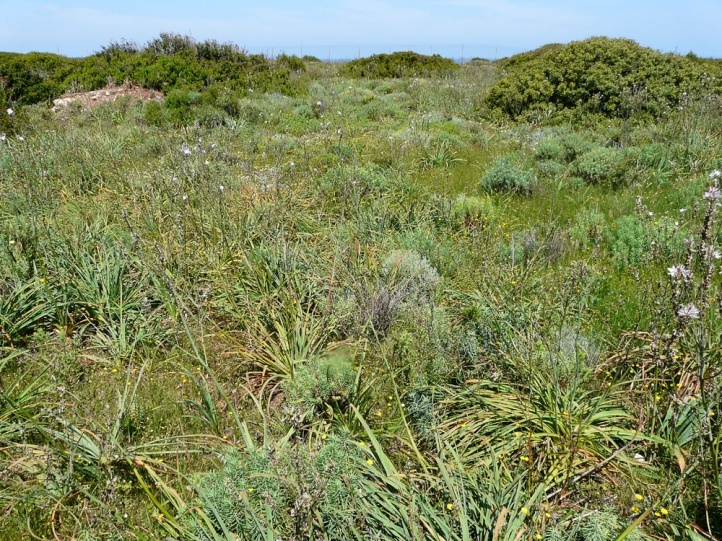 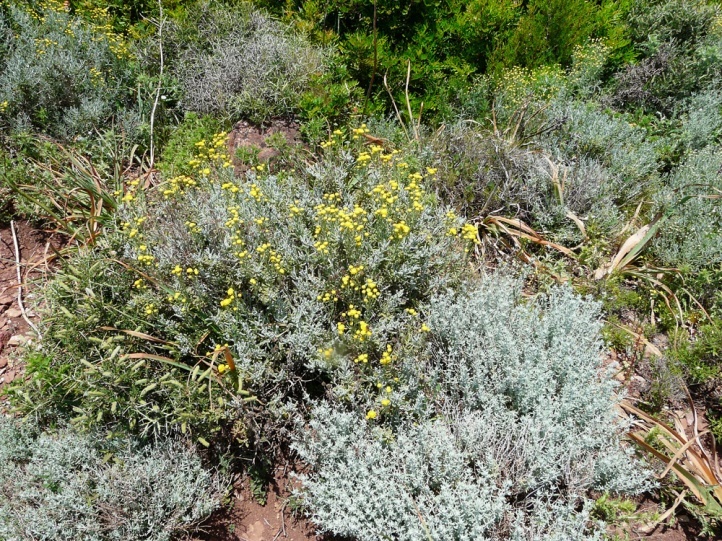 I found it in coastal maquis, on hillsides, roadsides and other most extensively grazed areas. 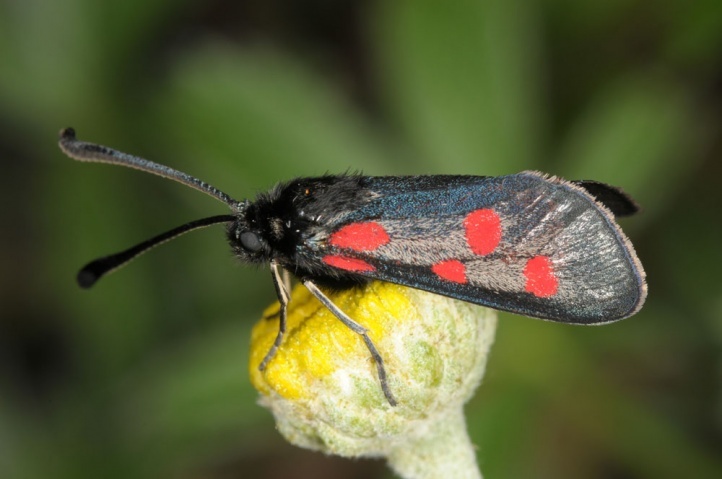 The moths fly from May to July, depending on the altitude. 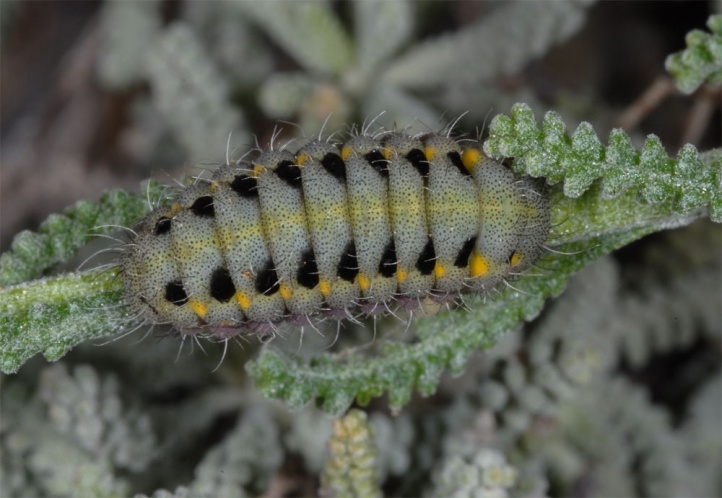 I found already moths near the coast (Buggeru) in mid-May, while I observed still half to fully-grown larvae in the central mountains of Sardinia at 1200 meters above sea level. 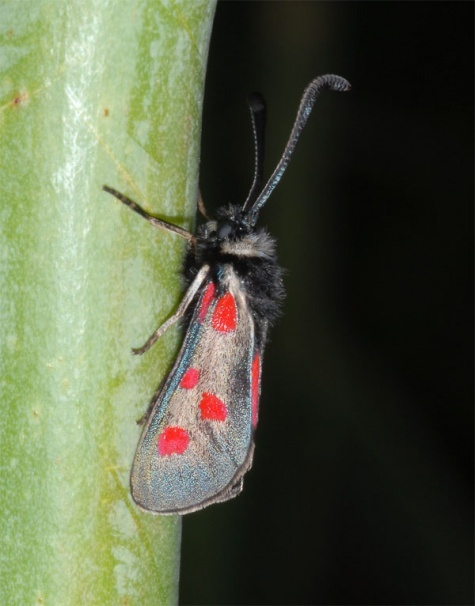 The moths are found only in the immediate vicinity of the larval host plant, where they also feed nectar. 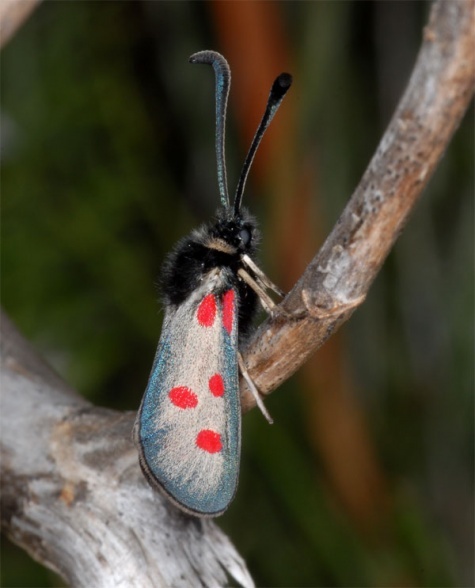 Especially the males are very shy and fly rapidly at approchement. 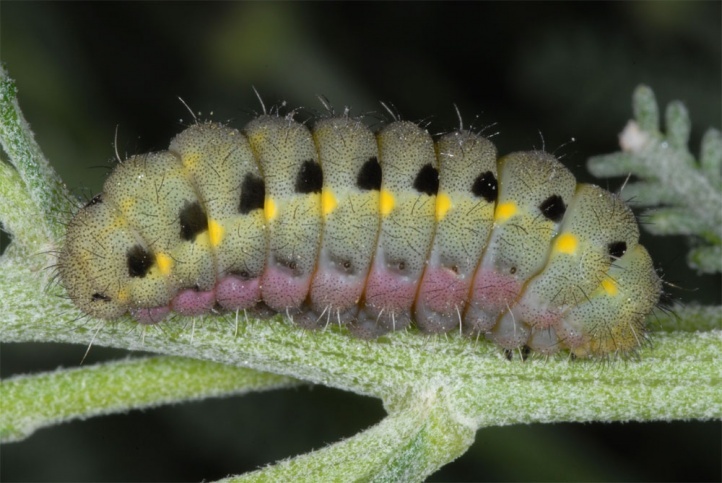 They patrol in the sunshine often enduring over the larval host plants in search of newly hatched females. 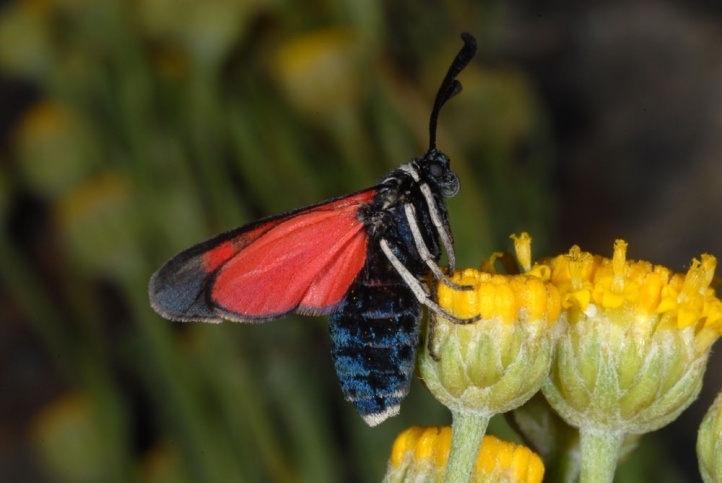 I observed a female laying eggs on the underside of a flower basket. 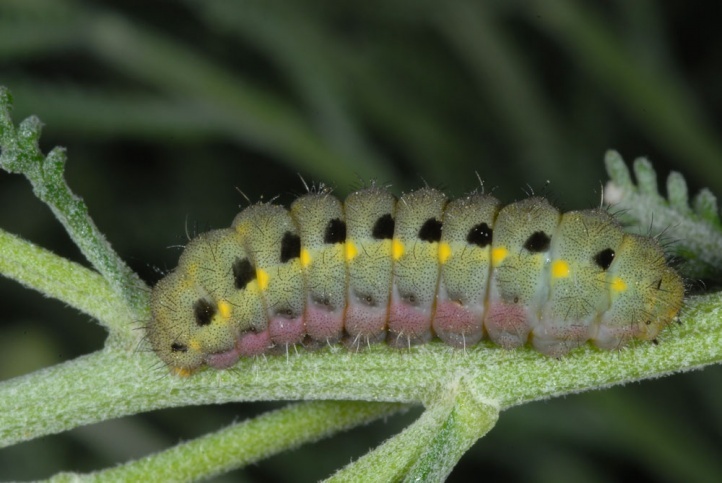 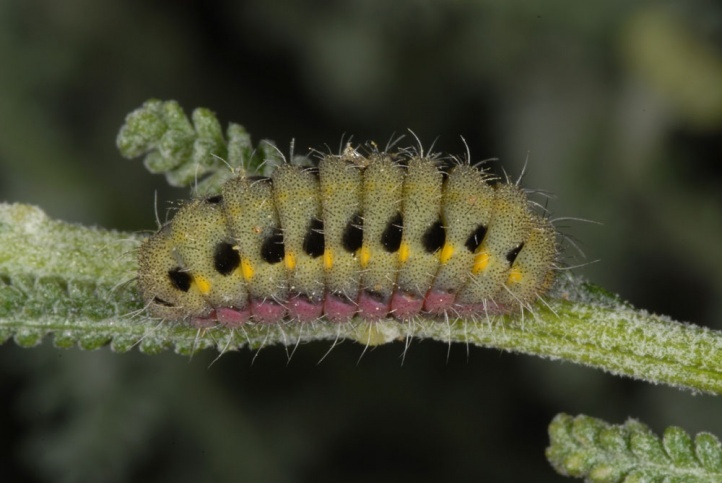 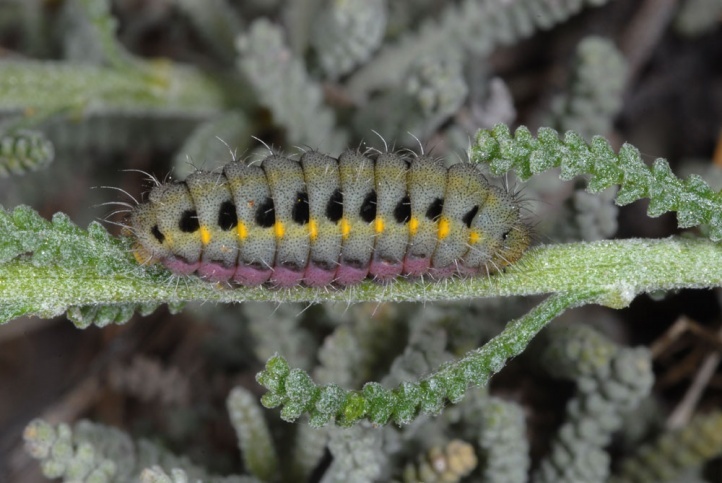 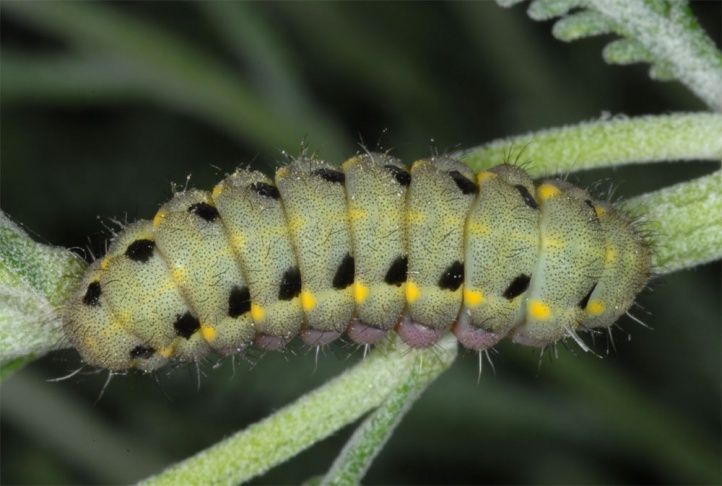 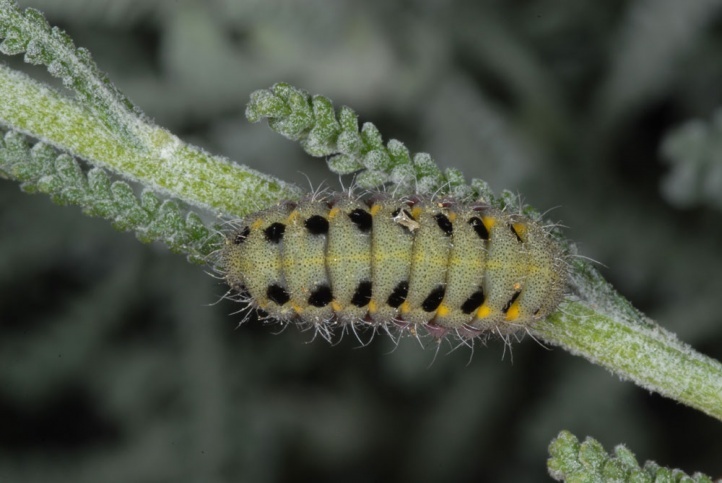 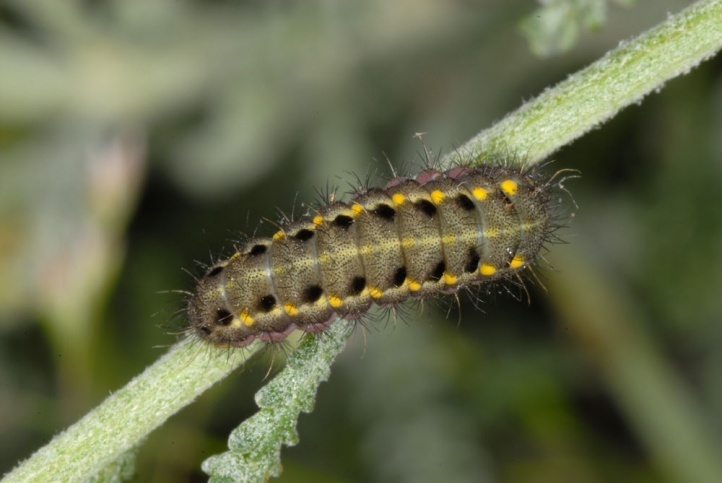 The caterpillars are well camouflaged in the Santolina-bushes and most easily found by tapping. 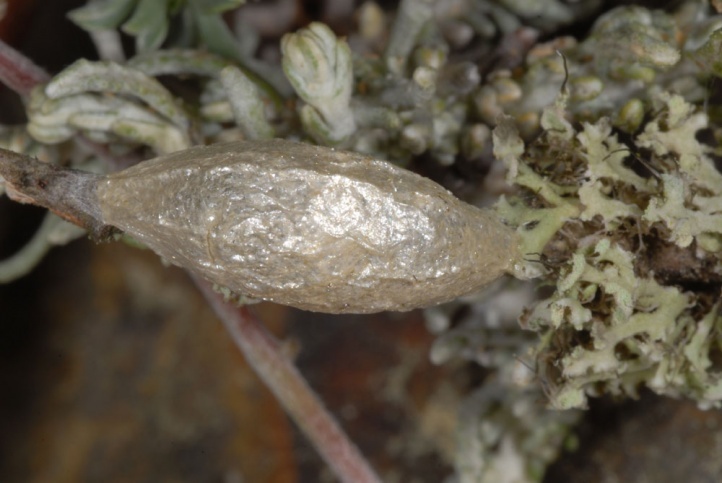 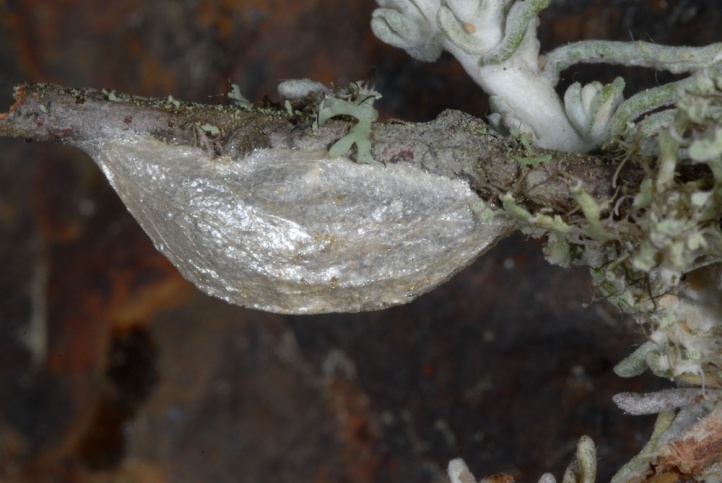 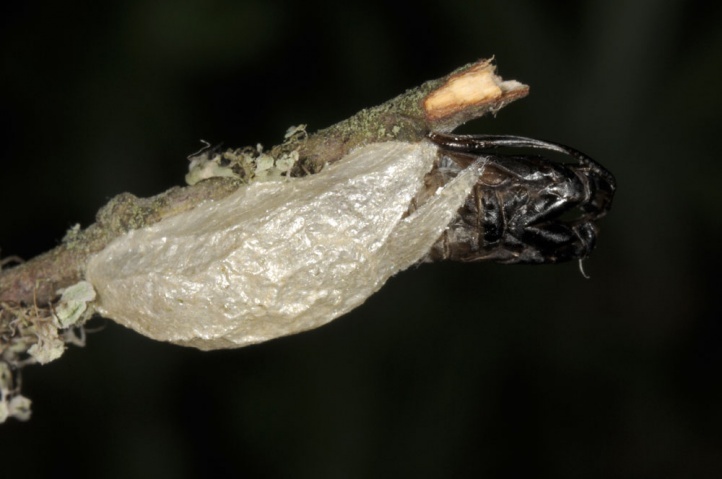 The cocoons are created usually well concealed in the ground vegetation or litter layer (approximately at the base of tussocks). 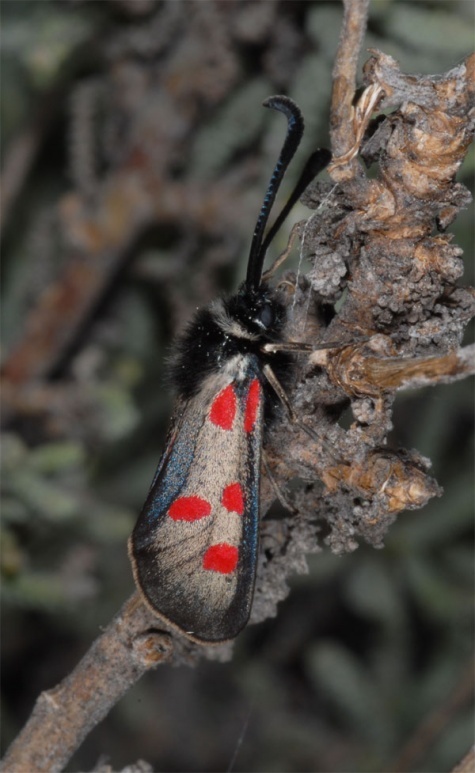 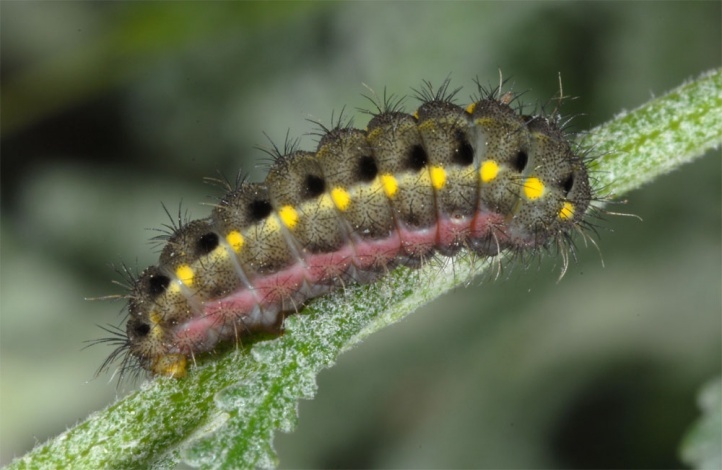 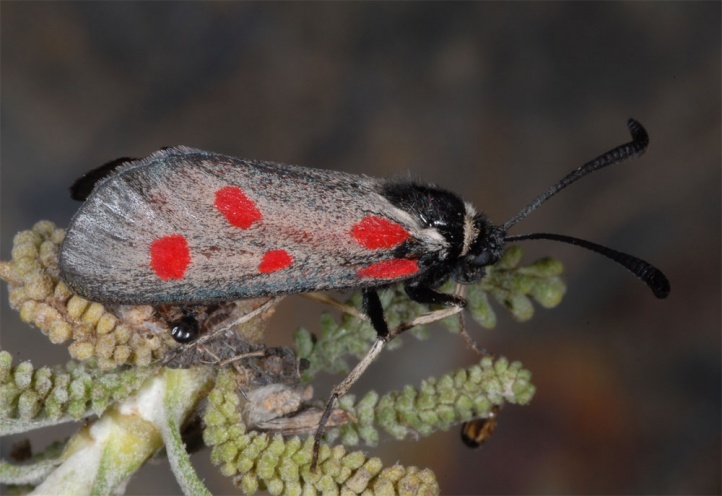 Zygaena corsica is endangered in coastal areas by construction and tourism. 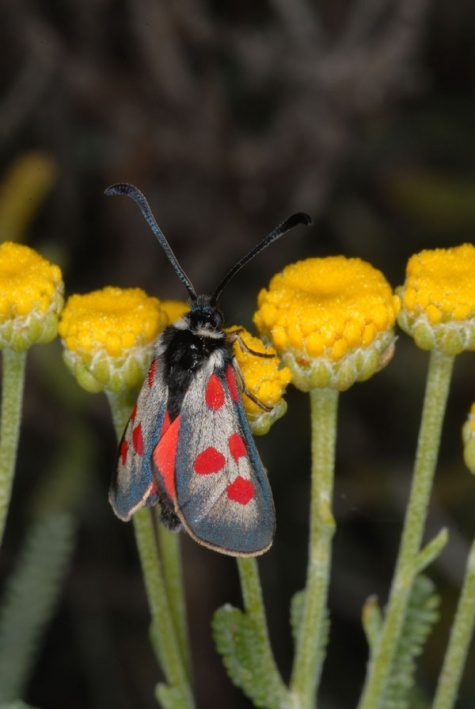 But most populations occur more in the mountains, where the risk is likely still quite small. 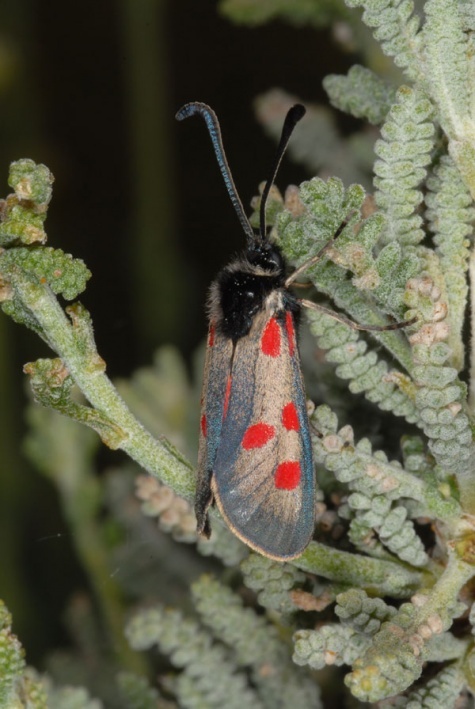 Zygaena corsica is endemic to Sardinia and Corsica. 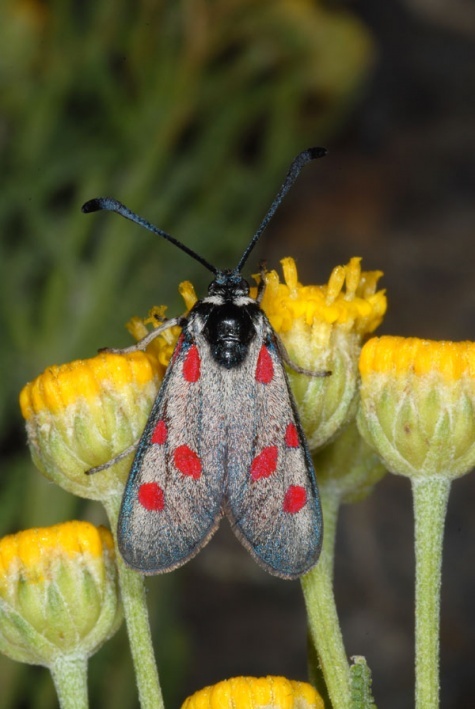 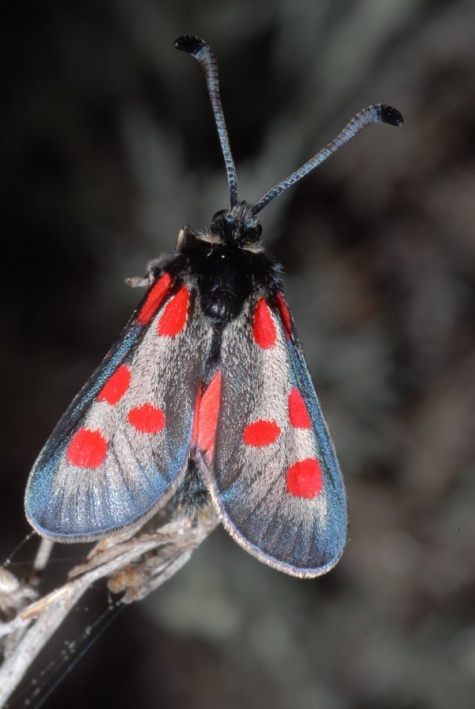 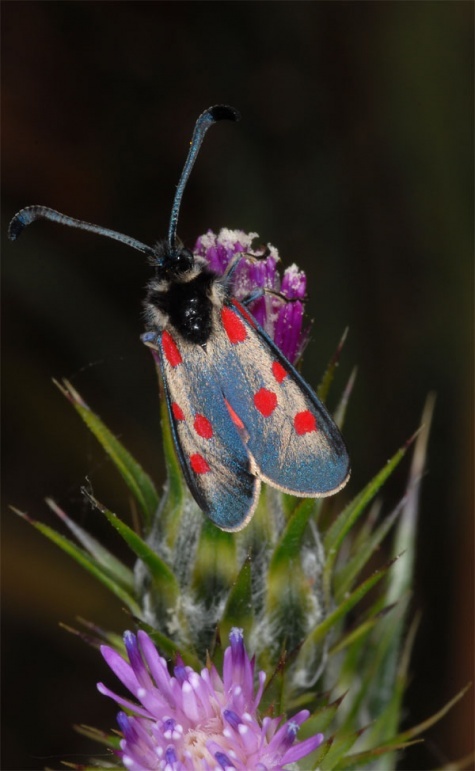 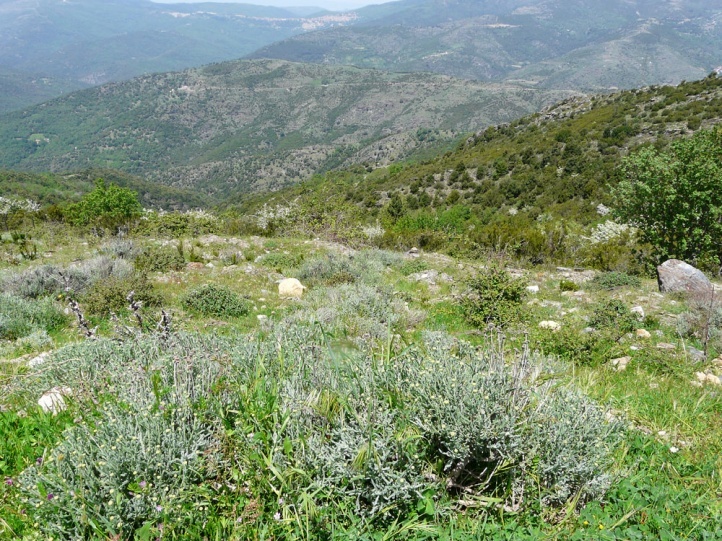 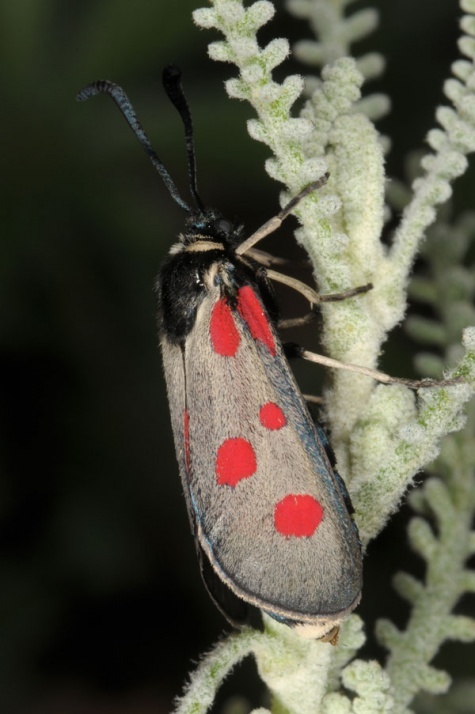 While the moths occur at quite many sites from the coast (only local) up to 1200m above sea level in the mountains in Sardinia, from Corsica only very few localities are known.